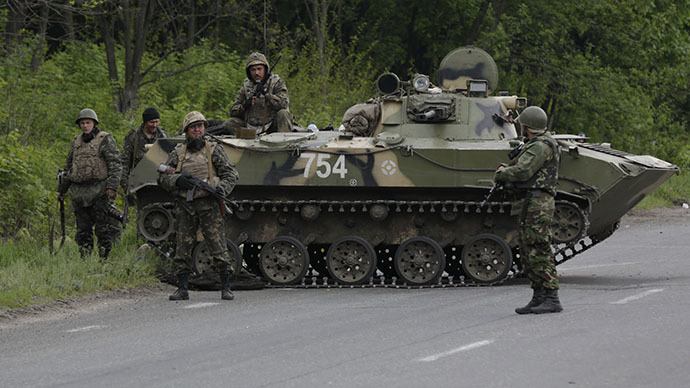 The village of Andreevka near the Ukrainian city of Slavyansk has come under artillery fire, self-defense forces say. Casualties have been reported in the attack. 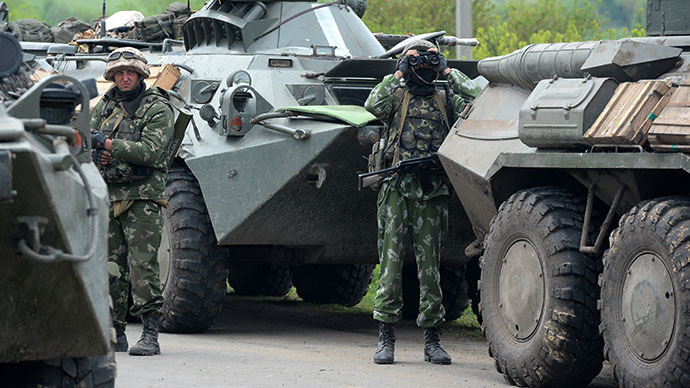 The village of Andreevka near Slavyansk has come under artillery fire from Kiev forces, according to the representative of the self-defense forces, as quoted by RIA Novosti. “There was an artillery attack. Houses have been destroyed. Cars are on fire. 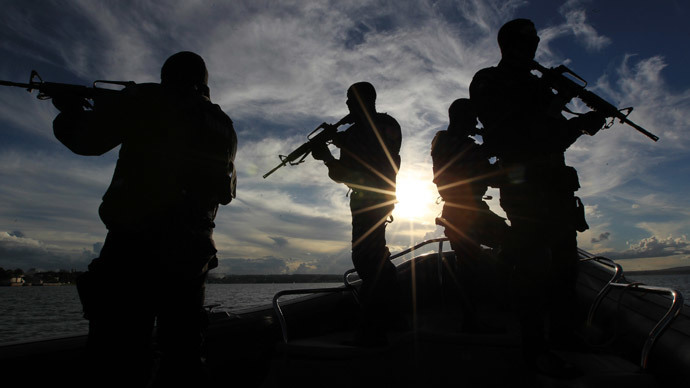 There are casualties, but the numbers aren’t known yet,” the representative said. 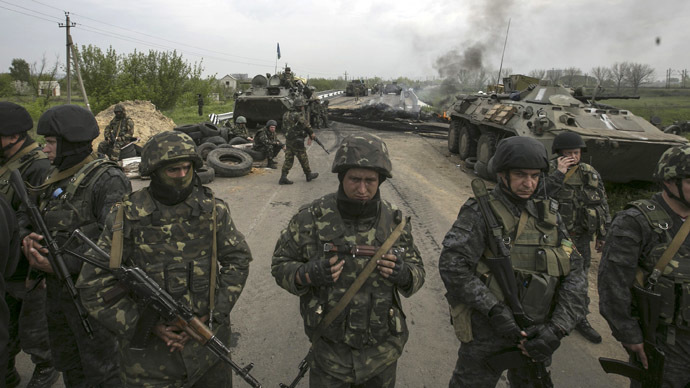 The assault of Slavyansk itself began around 5am local time (02:00 GMT) by the Kiev forces, ITAR-TASS reported. "The enemy started the artillery attack on Andreevka using heavy mortars and howitzers. Also we have data on the opposing side using helicopters for covering operations," a representative of the self-defense HQ told Interfax. Communication between #Andreevka and #Slavyansk - as well w/ other cities around it - r reportedly affected. It's difficult to get info. The explosions are at a frequency of once a minute. The attack is being conducted from the TV tower on Karachun Mountain. The National Guard is firing at security checkpoints, but reports emerged of mortar shells landing in local residents’ homes. It comes a day after the eastern Ukraine carried out an autonomy referendum with a high turnout of almost 75 percent in the city of Donetsk, and 81 percent in Lugansk. The results of the referendum have been announced in Donetsk, and they show the majority of voters supported self-rule. In Lugansk, the votes are still being counted. 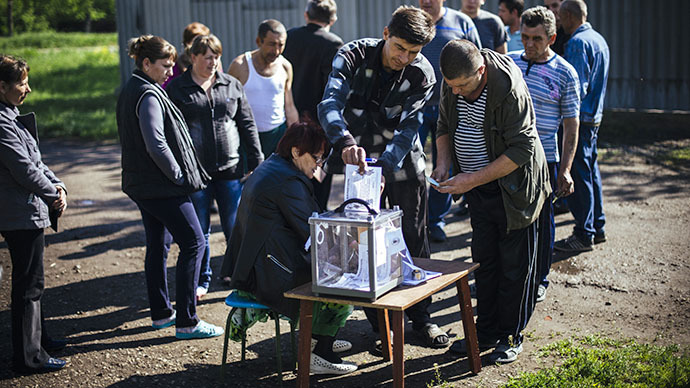 All across eastern Ukraine, the voting was disrupted several times by Kiev’s armed forces. A press conference detailing the results of the referendums is set to take place in the next few hours.